McKay Building Company is focused on revitalizing your interior or exterior space with one-of-a-kind, tailored renovations or additions to enhance your home. With experience spanning a variety of projects – indoor, outdoor, finished basements, expanded living rooms, lanais and more – Craig and Stephen champion superb craftsmanship while leveraging their relationships with top vendors to incorporate the finest materials. The possibilities are endless for increasing the value of your home with a 100% customized solution from McKay Building Company. We invite clients to share their ideas from Pinterest, Houzz or other popular sources, and we’ll build the perfect solution to fit their space and budget. At McKay Building, we’ll ensure you enjoy your renovation or addition for years to come. Craig and Stephen’s combined expertise in the luxury residential building industry allows them to ensure your finished lower level seamlessly flows from the upper levels of the home. The quality found throughout your existing home will manifest in every inch of the finished lower level. The brothers have an amazing talent for incorporating rustic elegance throughout lower levels as well, with materials like natural stone and reclaimed wood procured from old sawmills and barns. 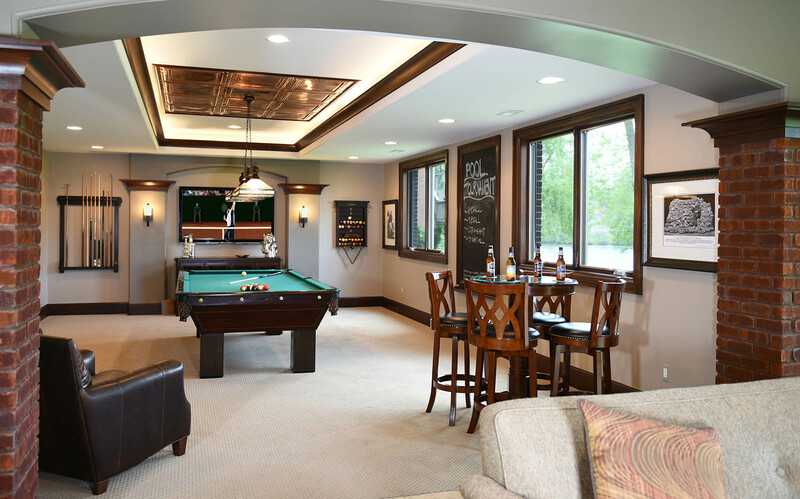 Whatever your hobbies, McKay Building Company can tailor a creative transformation to make your space more functional, inviting and fun. From bars, wine cellars with temperature control, billiard spaces, workout rooms, spas and more, McKay Building has the capability to incorporate one-of-a-kind amenities throughout your lower level to showcase your personal style. A gorgeous custom deck or terrace will encourage you and your family to enjoy the outdoors surrounding your home. 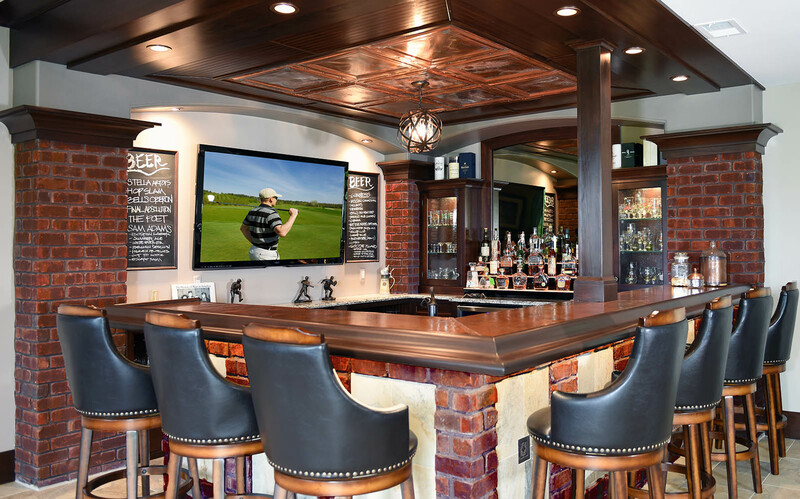 McKay Building Company can work with your existing home and lot to create the perfect space for gathering and entertaining. Our extensive network of top vendors means we’ll find the best amenities for you to enhance your deck, too, such as brick pizza ovens, fireplaces, pools, hot tubs and more. With McKay Building, there are limitless options to amplify your outdoor space. For families seeking a covered outdoor space for year-round enjoyment, McKay Building Company can design and build amazing custom lanais and covered patios. Imagine relaxing in your lanai all winter long with a cozy fireplace to enhance the ambiance. McKay Building can do it all, even incorporating additional space-enhancing features like phantom screens, outdoor kitchens and bars, state-of-the-art speaker systems and more. McKay Building Company is proud of its reputation for efficient, effective and transparent construction management and general contracting. The company oversees the entire renovation or addition project from start-to-finish, keeping customers informed every step of the way. As the customer, you are relieved of the burdens that other companies may place on you, such as working through a sales agent, coordinating scheduling of vendors, catching errors, and more. Craig and Stephen are pleased to offer peace of mind through conducting regular project walk-throughs, fostering great relationships and trust with customers, serving as the go-between with exceptional vendors, and ensuring a thorough clean up after every single day of work. The McKay Building team is meticulous about keeping your spaces tidy throughout the duration of the project: we adhere to high standards of cleanliness, so you can enjoy life as usual. Our goal is to assure your daily routine remains undisrupted while your custom renovation or addition comes to life.